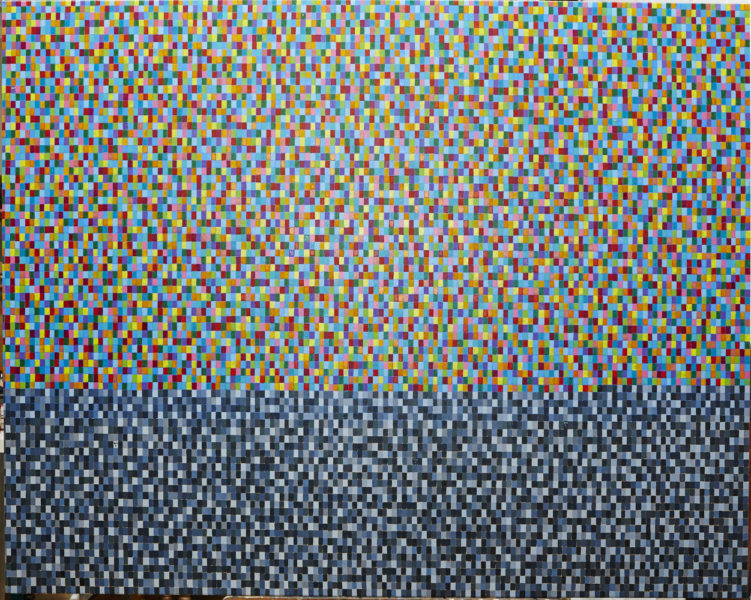 Cato 8025 days, mourning, 2015, oil on linen, 154 x 120 cm. Image courtesy the artist, © the artist. 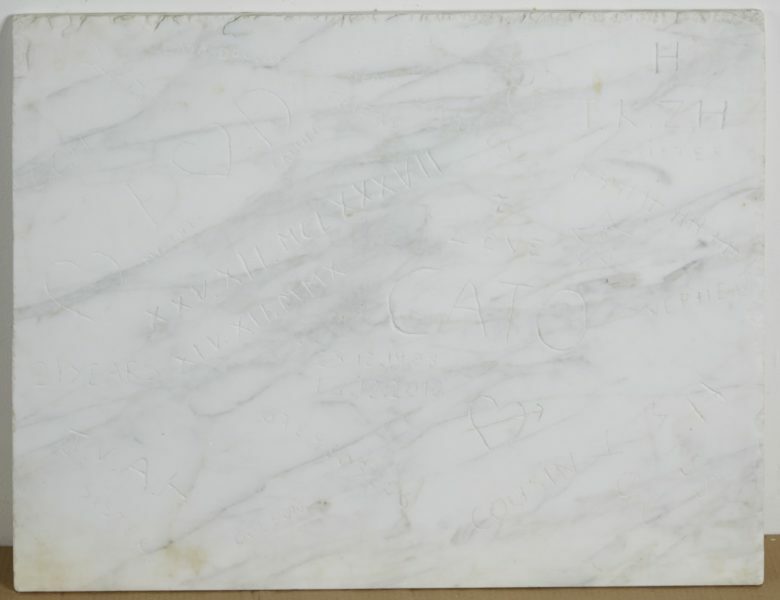 Cato Grafitti, 2015, marble, , 90 x 70 cm. Image courtesy the artist, © the artist. 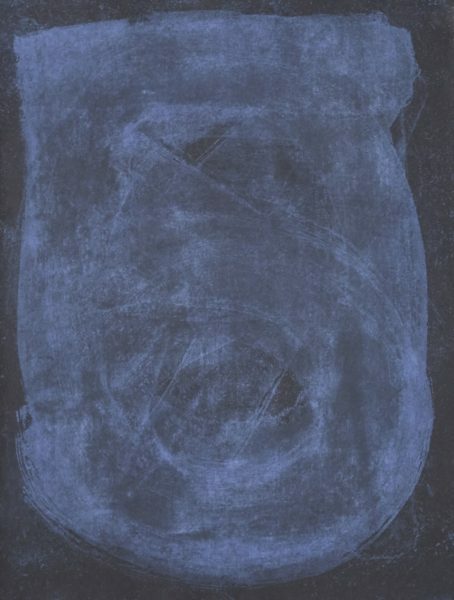 Cato's telephone number pre 14.12.2010, 2016, etching, 25 x 33 cm. Image courtesy the artist, © the artist. Cato's telephone number pos 14.12.2010, 2016, etching, 25 x 33 cm. Image courtesy the artist, © the artist. 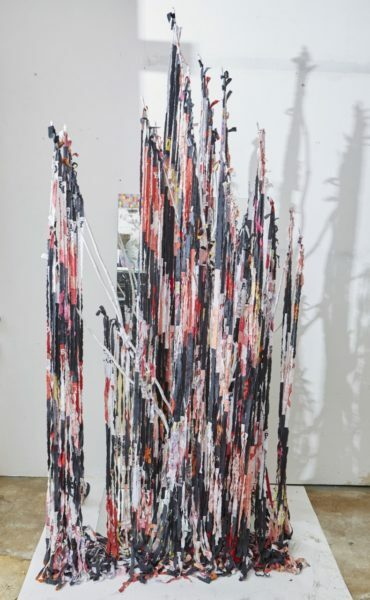 Weeping Willow, 2015, wood, clay, gesso, aluminium, linen, mirror, 200 x 100 x 80cm. Image courtesy the artist, © the artist. 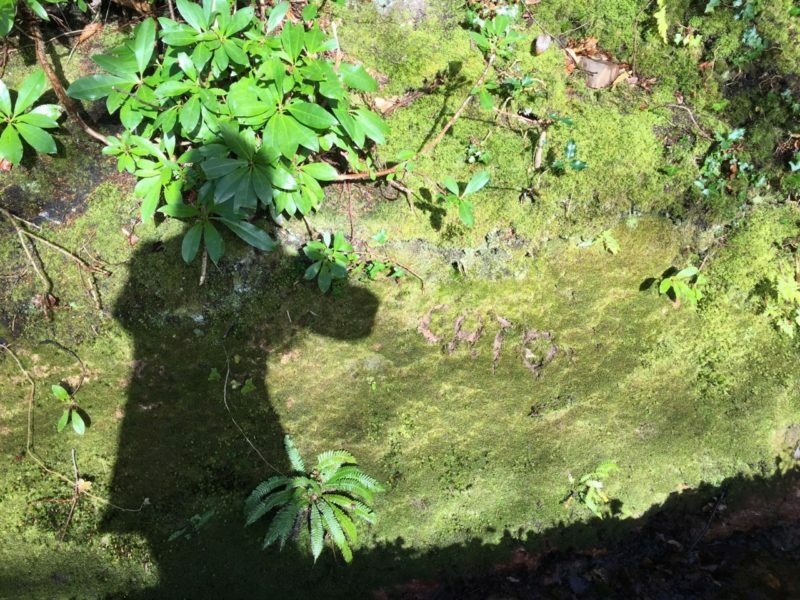 Cato writing moss Stogumber, 2016, photograph giclee print, 25.5 x 19 cm. Image courtesy the artist, © the artist. 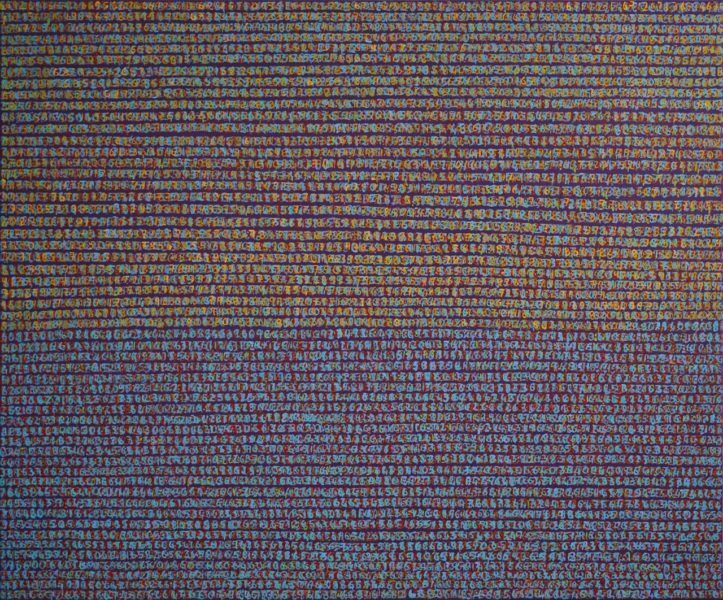 8025 days, 2016, oil on linen, 65 x 54 cm. Image courtesy the artist, © the artist. 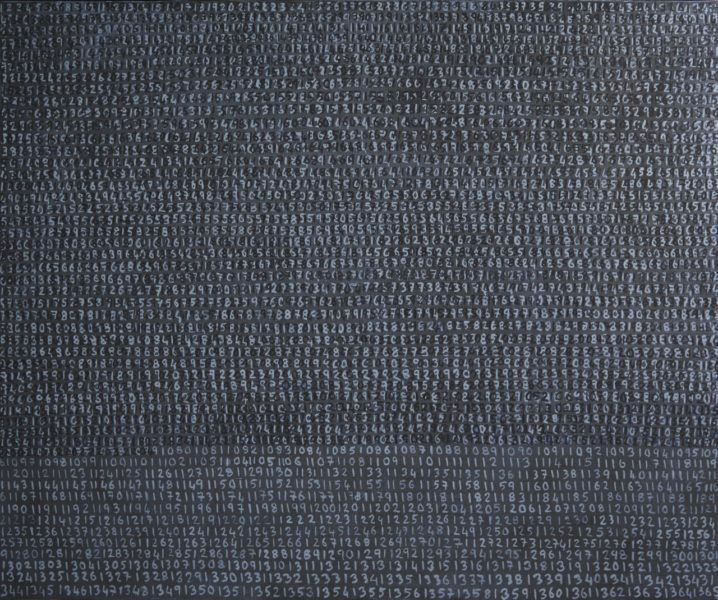 2024 days of mourning, 2016, oil on linen, 65 x 54 cm. Image courtesy the artist, © the artist. 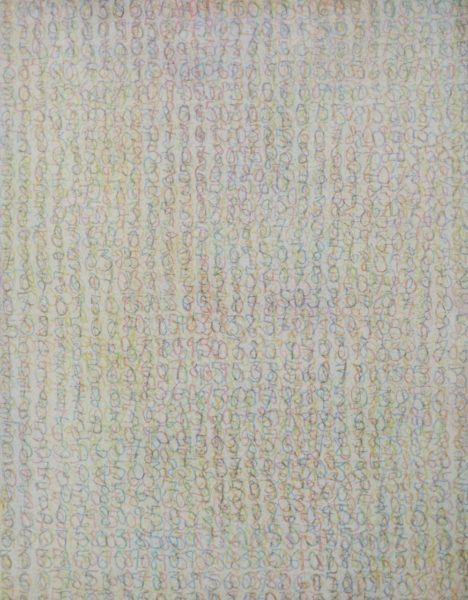 Cato's telephone number pre 14.10.2010, 2016, watercolour on paper, 28 x 38 cm. Image courtesy the artist, © the artist. Year One, 2016, masonery paint on render, 160 x 125 cm. Image courtesy the artist, © the artist. It takes a long time to make and the time reflects the real time of the events that inspire it. 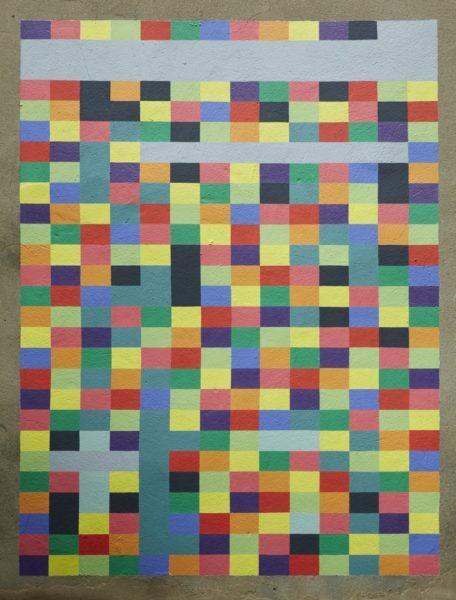 Some watercolours and oil paintings are large with thousands of small squares, each a different colour and each representing an event that took place. 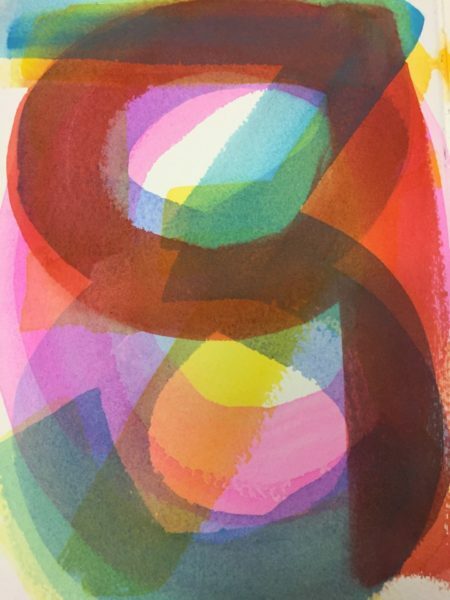 Numbers and colour are crucial. The sculptures are made of found objects that are painted and combined to create a structure that can hold the words that I write. I use mirrors to help the viewer peak into my world. The postcards are a record of my journeys and a conversation. My films are short and show the passing of time and the fragility of life. My etchings are made with multiple plates and subtle colours and represent past thoughts and present feelings. My words mark the places I visit.